Trang này có phần giới thiệu nhỏ về thành phố tuyệt vời này. Nó chỉ cung cấp cho mọi người, từ khắp nơi trên thế giới, một mẫu những gì họ có thể trải nghiệm khi đến đây. Nếu bạn sống ở thành phố này hoặc có kết nối với nó, NDN muốn biết về các tin tức và sự kiện thú vị đang diễn ra. Ngoài ra còn có cơ hội cho các tổ chức và công ty quảng cáo với Mạng đích mới và ‘quảng bá bản thân quốc tế’ chứ không chỉ ở địa phương. Không có vấn đề làm thế nào bạn muốn tham gia, liên hệ với chúng tôi càng sớm càng tốt và chúng tôi mong muốn được nghe từ bạn! Ho Chi Minh City, Vietnam has the largest population in the country, the region having approximately 10 million people in total. It was originally known as Gia Dinh, but was changed to Saigon after the French conquest in the 1860’s, then after the communist takeover in 1975 it was renamed Ho Chi Minh City, after the famous revolutionary leader. The city was originally a fishing village and occupied by inhabited by people from the Mekong Delta, who came from Cambodia decent. The city was heavily influenced by the French after they conquered it in 1859. They again, took control of the city after a period of ‘Vietnam Independence’ which was led by the great leader Ho Chi Minh. After the Vietnam War with US troops, which finished on the 30th April 1975 the region came under the rule of the Vietnamese People’s Army and in 1976 it was unified and known as the Socialist Republic of Vietnam. The city is now run by the Ho Chi Minh People’s Committee, who look after a large number of separate townships, communes, wards and districts, the city centre being ‘District 1’. The inhabitants are still known by many as ‘Saigonese’ or ‘Dan Sai Gon’ and the majority follow the religions of Buddhism and Confucianism or are Roman Catholic. The economy in the city is mainly made up from mining, seafood, agriculture, IT, construction and now tourism. The Peoples Committee of Ho Vhi Minh City Department of Tourism are responsible for all tourism matters in the city. Ho Chi Minh City is one of the rare places that produces ‘The Code of Conduct’ for tourists to the city, which is a great asset. It literally gives you the do’s and dont’s while in the city, which helps in so many ways, but also makes it safer and more enjoyable. It is quickly apparent to all visitors that the roads are full of hundreds of bikes at a time and it appears that there is no system or organisation, but with a bit of beeping of horns, last-minute swerving and general acknowledgement that ‘its everyone for themselves’, it works. It is actually a great sight to see, but caution is advised when using or crossing the roads in the city. The city has amazing buildings and wide elegant boulevards from the historic French colonial period, mostly situated in District 1. The main buildings of interest are; Reunification Palace, City Hall, Municipal Theatre (Opera House) and City Post Office. There are many museums in the city and a tour of them all will take the whole day, therefore the follows list should have something for everyone; Fine Arts, City, War Remnants, Vietnamese History, Ho Chi Minh City, Vietnamese Medicine, Wax Statue, Ao Dai (traditional dress), Artinus 3D Art, Women’s and Ton Duc Thang. The Notre-Dame Cathedral which was built in 1877 and is a reproduction of its famous name sake in Paris. The majority of the materials used to build it came from France and it is one of the most popular tourist attractions in the city due to its architectural and spiritual history. Religious building are spread all over the city, especially the traditional temples (Pagoda’s), such as; Vinh Nghiem, Glac Lam, Jade Emperor, Quan Am and Tran Hung Dao Temple. If possible, try and lite one of the spiralling incense cones, which are lifted into the roof of the temple and left to burn, sending the smoke into the sky, letting the Gods know that the sender wants protection and good fortune for their whole family. Other places of worship are Cha Tam, Cho Quan and Tan Dinh Church’s, Jamia Al Muslim and Cho Lon Mosques and Mariamman Hindu Temple. There are theatres and the famous Saigon Opera House, so there are many types of theatrical, artistic and musical performances available all year around. The two worthy of note are the AO and MIST, which both tell emotional stories of the countries heritage through music, song, dance and acts of physical skill. Another, but different type of performance is the Golden Dragon Water Puppet Theatre, which portrays stories of folk-law and history. A good place to see this would be the HCMC Cultural Palace, which is also home to many ancient artefacts. Many visitors say that it is the people that make a visit to Ho Chi Minh City so special, therefore simply walking around can be an enlightening and enjoyable part of any trip. Nearly every street, lane or alley has something different and the colours, sounds and smells make it an enchanting experience. Some of the best streets to find and explore are; Dong Khoi, Nguyen Hue, International Square (Turtle Lake), Bui Vien, Le Cong Kieu Anique, Oriental Medicine and Jewellery streets. Saigon was once known as ‘the city on the jungle’ due to the amount of greenery and water in the region and that has not changed today with the likes of the Can Gio Ecological Mangrove Forest, City Zoo/Botanical Gardens, Dam Sen Cultural/Water Park and Suomi Tien Theme Park. One of the favourite tours, is along the Saigon River, as seeing the city from this lower level, making it look even more spectacular. Also, the city was built from the river outwards, so a lot of the traditional buildings and places are situated on the river bank. There are several canals flowing off the the main river and they wind through the city revealing hidden gems of interest. At times these tours are relaxing and quiet, despite being in the middles of such a busy city, but it is interspersed with boats of local artists providing song and music for the waterway tourists. For a real taste of the city, China Town (district 5) is a must, as it is a vibrant area and exudes so much energy and life. The markets are amazing, selling virtually everything on the planet, but also there are more traditional shops and stalls selling medicine, food, lanterns and clothes. If visitors want a high quality suit or dress tailor-made in a day and for a quarter of the price that they can get elsewhere in the world, this is the place to get it done. Ben Thanh Market is a symbol of the city, due to its historical, cultural and commercial significance. It has over 3000 businesses, which sells a large variety of products including handcrafts from the Mekong Delta. Tan Dinh Market is also a busy place to visit and has a variety of food products for sale. An Dong Market is more modern and sells a lot of textiles, clothes and shoes and finally there is Ho Thi Ky Flower Market, which is a horticultural feast. The city has many good shopping areas including Crescent Hall, Takashimaya Saigon Centre, Diamond Plaza, Parkson Commercial Center, Saigon Square and Taka Plaza. A days shopping should to be accompanied with various breaks to eat and drink and this city provides this opportunity in abundance. The expression ‘STREET FOOD’ seems to have taken over every major city in the world, well this is the region of the world that it all started, so it should be and is the best. It mainly consists of rice, noodles, spices, pork and seafood. Very popular are the rice paper rolls and spicy dips, Banh Mi bread based snacks and local favourite Pho Noodles, which is more like a spicy stew. When eating all this delicious and mainly healthy food it is good to accompany it with local drinks too. Saigon Beer hits the spot, especially when the temperatures rise, which it does often. The local wines are excellent, especially the red varieties, which are very reasonable prices. Vietnamese coffee is growing in popularity around the world, especially for coffee-lovers who like a sweeter and deeper flavour. Want to try something different; cheese-coffee, yes that’s right, small blocks of cheese placed in the coffee cup and eaten when drinking the coffee. It’s a love it or hate it experience? One of the best restaurants in HCMC is EON51, which has a tag line of ‘five experiences one destination’. It is located at the top of the Bitexco Financial Tower, so has the best views of the city and is based over a number of floors. It provides quality facilities, such as; bar, restaurant, wedding venue, events and meetings and produces high quality food from around the world, with customer service of a very high standard. After all that eating, drinking and shopping, try another one of the famous things about Vietnam and that is a trip to a Spa. There are many in the city, in fact in the whole country, so it would be a shame not to go to at least one. The spa’s provides a variety of relaxation and medical treatments, but most popular are head, shoulder, foot or full body massage. 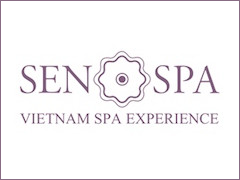 One of the best in the city is SEN SPA in Dong Du Street. There are different types, styles and themes of accommodation in the city, but one of the best is the MYST DONG KHOI HOTEL, which is centrally based and close to the Saigon River too. It is a boutique style hotel with roof top pool, bar, gym and spa. The rooms are of excellent quality, some have views of the river and hot tubs on the balcony. The best thing about the hotel is the customer service, as the staff are extremely attentive and professional, plus do everything with a friendly Vietnamese smile. HCMC is becoming a very popular MICE destination, so the amount of meetings, conferences and events that are being held there is increasing on a large scale. One of the popular venues for this is the SECC Exhibition Hall and is home to many events throughout the year. INFORMA arrange many prestigious events throughout the world and every year they organise The International Travel Expo HCMC p, which has a tagline of ‘The Gateway to Tourism in Asia’. This event is a must for all organisations in the tourism, hospitality and MICE industries to attend, if they want to know more about or set-up partnerships in, this spectacular part it world. There are many places to visit in Vietnam and not far from Ho Chi Minh City are the Cu Chi Tunnels, which are an extremely popular tourist attraction for people who want to learn more about the history and conditions for Vietnamese Soldiers during the Vietnam War with US Troops. They are approximately 200 kms long and include kitchens, food, weapons, meeting rooms and hospitals. Another place to discover would be Hang Son Doong Cave, which is the largest in the world, being 5 kilometres long and 200 metres high. It is over 3 million years old and is home to the tallest stalagmites in the world. Visiting this special place is a breath taking experience. 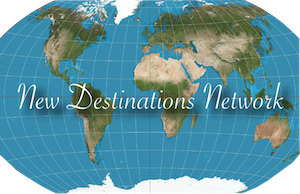 VIETRAVEL was established in 1995 and has amalgamated a large amount of experience in the tourism industry. They were awarded the title of ‘One of the Worlds Leading Group Tour Operators’ in 2017. They are also a member of ASTA & PATA organisations. They provide a wide range of tourism services for Vietnam and are highly recommended by NDN. Phu Yen is a lesser known region of Vietnam, further south east than HCMC and quieter, but worth a visit, whether for a day, weekend or week. It has great beaches and all the charisma and culture that the rest of Vietnam has, but much less effected by mass tourism. Therefore, go now while it still has its innocence, charm and beauty. HCMC is manic, exciting and exhilarating, but relaxing, friendly and cultural at the same time. It does not matter why people love this city, whether it is for the people, history, food or atmosphere, but once visited, many return time after time. Ho Chi Minh City is unique and is like no other place in Vietnam, so a visit will be memorable for many reasons.